Besides helping many writers improve their manuscripts and publish independently, Fearless Literary develops a limited number of projects for direct representation to publishers. We currently specialize in the nonfiction fields of contemporary spirituality, human potential, health & fitness, memoir, and the arts, but have begun to develop some fiction projects. Following are some of the promising projects now in progress at various stages of development. 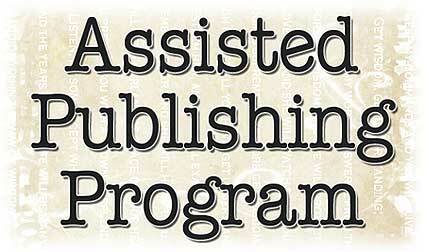 Rights inquiries from established publishers are welcome. To keep up with all author news from Fearless Literary, join the Fearless Books mailing list. For author submission guidelines, click here. CURRENTLY IN REPRESENTATION: Fearless Literary is pleased to announce its first foray into middle-grade fiction with THE CANARY GIRLS by PATRICIA CASPERS of Auburn, California. This charming and engrossing story of two unlikely teenage friends in the 1980s revolves around their suspicion that one of their grandmothers, known as Birdie, is really the female flying ace Amelia Earhart — and the sleuthing they do together to track down the truth. Along the way, the novel touches on issues of religion, broken and single-parent families, home schooling, and commandeering an airplane without permission. Patricia Caspers' poetry has been published in journals such as Ploughshares, Sugar House Review, and Quiddity. She won the Nimrod/Hardman Pablo Neruda Prize for poetry, and in 2017 was named California's education reporter and columnist of the year for her work with Gold Country Media. Her full-length poetry collection, In the Belly of the Albatross, is available from Glass Lyre Press. Like her novel's protagonist Sarah Madelaine, Patricia grew up in Auburn, California in the 1980s. She moved away to attend college and returned home twenty years later. Currently, she teaches writing and lives on the canyon with her family and Mr. Bingley, a dachshund-golden retriever rescue. Catch up with Tricia on Facebook. CURRENTLY IN DEVELOPMENT: A native of South Africa living in Australia, LIESELLE DAVIDSON currently works as a writer and social media coordinator for thinkmiracle. She has a background in nutrition, interpersonal communication counselling, and remedial massage therapy, and has facilitated workshops on meditation, finding and fulfilling life purpose, and enhancing and applying intuition. Lieselle has a penchant for poetry and a deep-seated desire to see people fulfill their creative potential. Fearless Literary will be representing her illustrated children's book, tentatively entitled THE DRAGON AND THE GENIE, to mainstream publishers. 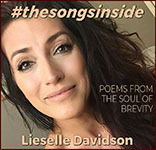 Fearless Books is planning a simultaneous launch of audio and e-book editions of the poetry Lieselle has posted on Instagram for nearly 10,000 followers, under the title #thesongsinside: poems from the soul of brevity — "They say that love / Is the opposite of fear / But let me be clear / They both got me here / So I stand afore you / Fear and heart / There'll be no banishment / Of any part." Connect with Lieselle on Facebook and follow lieselled on Instagram. 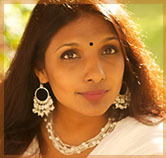 CURRENTLY IN DEVELOPMENT: Fearless Literary is pleased to announce signing native South Indian writer and feminist activist Sangeetha Shinde for the editorial development and representation of her novel THE THOUSAND LIGHTS OF CHENNAI, based on the true-life story of a slum-dweller who was bought and sold three times as a domestic slave. Previously Sangeetha was the founding editor of two national cultural magazines and contributing editor to a premier life-style magazine in the Middle East; Principal Correspondent with The Times Group in India; and a contributor to Reader's Digest, Femina and Savvy. She has also authored a book of short stories for the Kingdom of Jordan (Amman: Story) and served on the judging panel of a London-based international short story contest. Currently living in Greece with her husband, Sangeetha grew up in the Nilgiris District of Tamil Nadu which inspired A Moral Murder, her successful second book of short stories. Read her stunning manifesto "I Am An Indian Woman" and connect with her on Facebook. CURRENTLY IN REPRESENTATION: In 2016, Wendy Sarkissian PhD watched in horror as her beloved husband Karl drowned before her eyes in their car that had plunged into a river in Australia. Narrowly escaping with her own life, Wendy soon found both solace and wisdom in written communications with her lost husband, a story she tells with wit and wisdom in STAY CLOSE: How to Heal from Grief and Stay Connected to One Who Has Died. Utilizing the principles of radical philosopher and educator Rudolf Steiner from his book Staying Connected, Wendy tells a heart-rending yet ultimately inspiring story of the timelessness of an authentic intimate relationship. Wendy lives in Vancouver, British Columbia and has a professional background comprising 50 years experience in city & community planning and environmental ethics. Learn more at her website or activist blog. CURRENTLY IN DEVELOPMENT: Fearless Literary is pleased to be working with Kim Derkach RN, a nurse, teacher, and spiritual healer in Saskatoon, Saskatchewan, who is writing a teaching memoir entitled LIFE IN HD: A Nurse's Prescription for Living Vibrantly with Autoimmune Challenges. Kim shares her unique and contemporary prescription for blending both conventional and holistic medicine to heal grief, manage chronic illness, and reclaim the greatest possible vitality in living every day. After losing her brother to Juvenile Huntington’s Disease, Kim had to focus on healing her own severe autoimmune disorder and gradually learned the keys to replenishing body, mind, and soul. Facing the profound issue of mortality in her early 20s, Kim rose from rock bottom to become a helper and teacher of the essential wisdom that death, grief, and struggle can yield to all of us. Connect with Kim on Facebook. Gary R. Renard, the best-selling author of The Disappearance of the Universe, Your Immortal Reality, Love Has Forgotten No One, and The Lifetimes When Jesus and Buddha Knew Each Other, was born on the historic North Shore of Massachusetts. He became a successful professional guitar player, but during the harmonic convergence of 1987, he heard a calling and began to take his life in a different direction. At the beginning of the 1990s, he moved to Maine, where he underwent a powerful spiritual awakening. As instructed, he slowly and carefully wrote Disappearance over a period of nine years. Originally published by Fearless Books in 2003, the title was an immediate small-press phenomenon and was licensed to Hay House in 2005, going on to sell over 200,000 copies in world English and a number of foreign editions. Fearless Literary is pleased to welcome Gary "back home" by representing his fifth title, currently in progress, entitled The Awareness of Being God. Publisher inquiries are invited. See Gary's website here. CURRENTLY IN REPRESENTATION: Fearless Literary is honored to announce signing Northern California author Mary Ann McGuire for the launch of her stunning autobiography, AN AMERICAN BUDDHA: How a Christian Minister Discovered Her Spiritual Destiny. A retired Christian minister who grew up Catholic, Mary Ann left the beloved religion of her youth only to struggle against institutional gender bias in her unsuccessful attempt to be ordained as an Episcopalian priest. She was later identified by the revered Tibetan Buddhist master H.E. Chagdud Tulku Rinpoche as the living reincarnation of Yeshe Tsogyal, an eighth-century princess regarded as the "Mother of All Tibet" and a female manifestation of the Buddha. 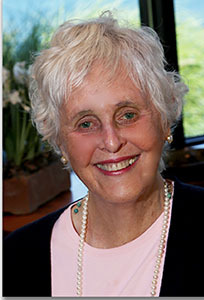 Throughout this epic adventure, Mary Ann continued to live the outwardly normal life of a twice-married wife, mother, grandmother, widow, community activist, and philanthropist. As she writes near the end of the book, "I knew with every fiber of my being that inner spiritual authority is earned regardless of gender and only through profound listening, through the willful choice to heed the call, and by walking the path in devoted practice. It is up to each of us whether or not we walk the solitary journey into the heart of our own Buddha nature." See more at the website for AN AMERICAN BUDDHA. CURRENTLY IN DEVELOPMENT: Fearless Literary is working with veteran indie musician David Knopfler, founder of the 70s hit band Dire Straits, to develop a book of advice and memoir entitled HIGHER STRAITS: An Indie Musician's Advice for Keeping It Together and Getting Some Satisfaction. The book will offer David's experienced wisdom on the independent music biz for up-and-coming musicians, based on his early experience in Dire Straits and his subsequent pursuit of a self-produced musical career. "If you feel driven and compelled to make your work and to be fiercely original and have something unique to say, in a compelling way, then chances are the helpers will be there for you... the doors will open some, the ice will crack. You just have to be sufficiently driven not to give up, even when you’re feeling about as popular as Vincent Van Gogh did when the good people of Arles sent him packing." For more preview, read the Fearless "Higher Straits" interview with David here. CURRENTLY IN REPRESENTATION:The author of the award-winning memoir A SONG FOR LOST ANGELS: How Daddy and Papa Fought to Save Their Family (originally published by Fearless Books) Kevin Thaddeus Fisher-Paulson lives with his husband Brian, their two sons, and their four rescue dogs in San Francisco. When not writing, he serves as Captain of the Honor Guard for the San Francisco Sheriff’s Department. He earned a degree in American Studies from the University of Notre Dame in 1980 and subsequently studied writing with Dorothy Allison, Jessica Hagedorn and Steve Abbott. Kevin is a weekly columnist for the San Francisco Chronicle, contributes irregularly to the National Public Radio Perspective Series, and blogs for Gays with Kids. Now in its Second Edition from the author's own press, SONG is being represented to larger publishing houses to realize its enormous potential. Order the current edition and read an excerpt here. Principal Agent and Editor D. Patrick Miller founded Fearless Books & Literary Services in 1997. He is a veteran magazine journalist and author of a dozen books, and has provided manuscript evaluation and editing for many major publishers, agents, and hundreds of writers. After working in almost every other aspect of publishing, he began providing professional representation in 2015. Associate Agent and Publicity Specialist Jennifer Listug has a background in public relations at Schrader Cellars and New World Library, and brings a fresh, original, and up-to-date perspective to the challenge of "getting the word out" to help books succeed. Find out about her low-cost publicity consultations here.